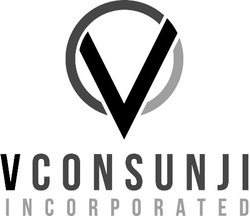 Victor Consunji Incorporated (VCI) is a medium-sized construction company situated in the Philippines. Although a young company,VCI has emerged as one of the more progressive construction firms in Metro Manila, designing and executing housing developments with values between 500 Million to 3 Billion Pesos, for both private and various government sectors. Founded by Victor B. Consunji, grandson of esteemed contractor David M. Consunji of D.M. Consunji, Incorporated (DMCI), VCI is built on the platform to continue and improve current project management systems and techniques. In the highly competitive arena of residential land development, VCI interminable proves its ability to take on various complex projects with timely delivery at the highest levels of quality. Today VCI operates on two specialized product lines. Marking its core competencies are Private Residential Developments, and Government Subsidized Residential Developments. Though eachproduct line’sgoals vary greatly in terms of product output, both product lines share one key attribute… to exceed the expectations of the end buyer, and provide lasting and credible primary residences.VCI divisions focus on one goal- to provide a coordinated and trouble-free approach for our clients, for life. VCI believes that there is no better proof of a commitment to service than a project which demonstrates integrity and quality of life. The VCI strategy is simple. To create the best solution, we create progressive projects for the primary benefit of our clients first. VCI takes on a craftsman-like pride in realizing its clients’ needs as well as building for a generation of Filipinos.